Gen. Robert L. Scott was a man that needed no introduction in America for decades. 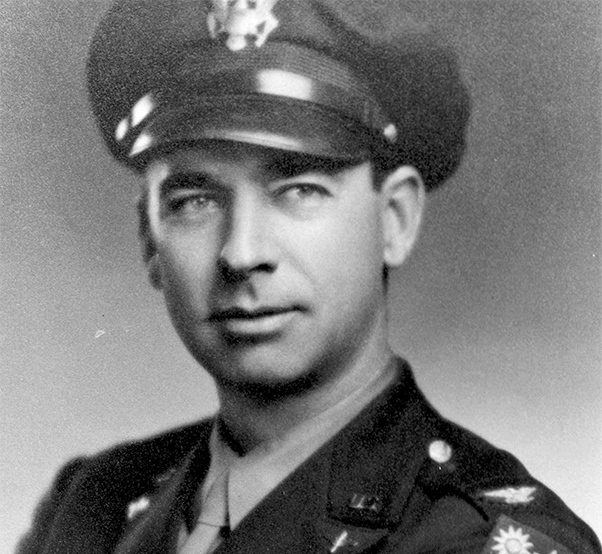 As one of the Flying Tiger pilots in China during World War II, the West Point graduate became the hero that inspired a nation at war with his daring and skills became an Ace in an outfit that captured America’s attention in weekly headlines. A life filled with so many twists and turns it almost read like fiction but the reality is every bit of it was true right up to has he called it being “fired” from the Air Force at the rank of brigadier general! So how does the general tie in to Southern California and our region for this article? 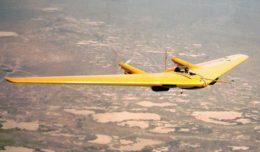 Well, early on in his career he received his first command in 1940 where, before he went off to war, he received the title of commander of the Cal-Aero Academy at Ontario now at Chino and became friends with C.C. 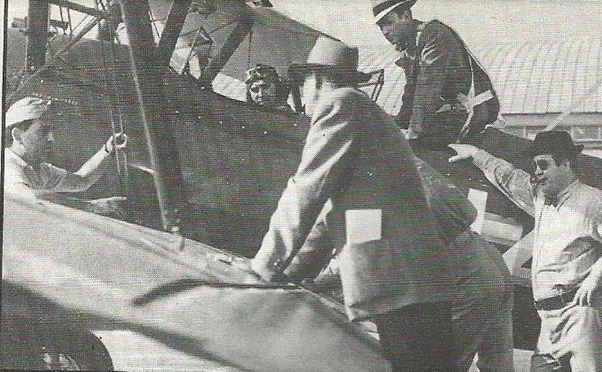 Moseley and made many trips up to our own Cal Aero Field here in Lancaster before America entered World War II. Starting off with just 42 cadets and within a year he was overseeing a school with over 600 cadets as America prepared its self for its eventual role in the war. The military brass back in those days and the government knew what was coming and understood that keeping the moral of a nation up would fall in the lap of Hollywood and outfits like the U.S.O that would keep the home fires burning as they say and giving the G.I.s a bit of diversion from the rigors of war. 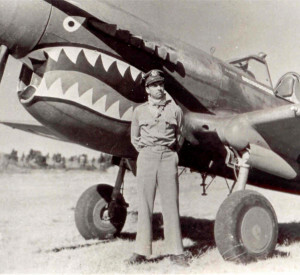 Gen. Robert L. Scott with the Flying Tigers in China during World War II. In 1941 Hollywood came calling when Universal Pictures contacted C.C. Moseley showing interest in using Cal Aero Field for a new movie starring Abbott and Costello called “Keep Em Flying” after the great success of the movie Buck Privates starring the same duo. As commander of the school Scott was the subject of a great deal of official and not so official attention and services of the studio entourage and he realized all these things they were doing for him were so he would cooperate with them but he admitted he was not use to such luxury . So now the focus off this story about a bit of Hollywood lore of a stunt that was performed in the movie that has really never been duplicated again and done during a time when stunts were more seat of the pants bravery then the calculated ones preformed today . The famous stunt pilot Paul Mantz was the only member of the studio that Scott knew and he asked him if he would let him fly through all four hangers at the field for a segment in the movie. The four hangers that are still at the Chino Airport today were lined up end to end and today many stunt pilots routinely fly through single hangers for commercials and movies but four consecutive hangers is a bit harry even by today’s standards ! 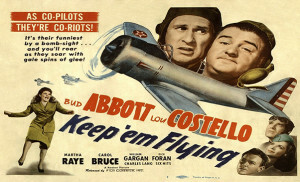 The movie poster for the Abbot and Costello movie Keep ‘Em Flying. So the stunt was on and the buzz about the field was about an amazing stunt that was going to be performed by the base commander! What a great way to inspire the troops but then again what if it ended with disaster! Scott went and measured thing up and saw how far the prop of the Bi plane reached up and how far the landing gear hung down and he figured out that the “Oleo Legs” dropped fourteen inches so he had a field mechanic tie the wheels up to get the clearance he needed. They day came and the only way to practice the stunt was to just do the stunt and so he did and the one major problem he encountered was the one he never saw coming . Flying between the hangers the sun would hit the macadam and you would get a bump upwards and that uneasy feeling was repeated three times in just a few seconds as the stunt played out and passing out of the last hanger a very stressed but relieved base commander wrote his names in the history books for a stunt that would be the standard for many years by many in the aviation world and one that would inspire all the cadets that witnessed it firsthand ! Gen. Robert L. Scott in the front cockpit during the filming of Keep ‘Em Flying with Bud Abbott in the rear cockpit and Lou Costello at the right at Cal Aero Field. General Scott finally got his opportunity to go to war and he sure made the best of it becoming the legend that he truly earned in the skies of China and inspired by others he wrote his most famous works “God is my co-pilot by Col Robert L.Scott”. The book became one of the great movies of the war years but a huge disappointment to Scott as the story line was rewritten to fit the narrative of Hollywood , Gee I guess thing haven’t changed much have they I say with a smile ! Needless to say the movie its self should have a column all by its self as the airfields in Arizona became the last great home to an armada of war planes for the making of a movie and the story of the life of General Scott should be high on the list of any fan of American Hero’s to read about. By the way if you get a chance I highly recommend the movie “Keep Em Flying” which opens with a sequence that was filmed over Pearblossom here in the Antelope Valley and now when you watch that incredible hanger flight sequence in the movie you will know how it came to be! Was the movie kind of corny? Yes it was but what comedy with serious undertones wasn’t in the years of World War two and of course that’s what made them special!